The Truckchex Heavy Duty Truck History Report gives you access to a powerful network of data providers with current and historical title records. A VIN search will provide information on a commercial truck, heavy duty truck or any type of truck's history. 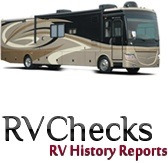 This COMPREHENSIVE "Truck VIN Check" gives you peace of mind when buying or selling a used commercial truck or getting the history on a heavy duty truck you have already purchased. The Truckchex Heavy Duty Truck History Report contains VERY valuable information for truck drivers, trucking companies, dealers, insurers, auction houses, and lenders, about whether a specific pre-owned commercial truck has reported damage, the number of previous owners, the last recorded odometer reading, any salvage or damaged titles, the manufacturer’s original equipment, OEM recall data, and more. We gather our data from multiple sources, including, but not limited to, governmental agencies in order to provide the most current information available for the benefit of all interested parties. A Truck History Report provides you with IMPORTANT historical information on a used commerical or heavy duty truck.